Upgrade the Thanksgiving centerpiece bird this year with one of these tasty turkey recipes, from a Cajun-spiced turkey to a bacon-wrapped turkey. There's no doubt that Thanksgiving just wouldn't be Thanksgiving without a big turkey on the table. Upgrade the Thanksgiving centerpiece this year with TODAY Food's best turkey recipes, from a juicy Cajun turkey to an amazing bacon-wrapped turkey that will wow holiday guests. Tucking fresh sage leaves and thyme under the skin makes the juicy meat and crispy skin of this turkey especially fragrant. 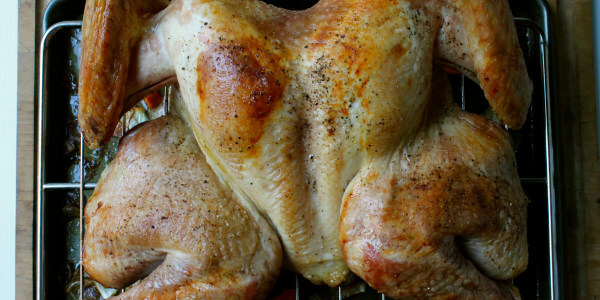 Allowing the bird to rest for at least 20 minutes before it is carved keeps the meat as moist as possible. Food Network star Giada De Laurentiis rubs her turkey with smoked paprika ahead of time, which allows the spices to permeate the meat with a wonderfully smoky flavor. She also stuffs the cavity of the bird with sage, thyme, onion and lemon so there's loads of flavor throughout. Want to skip carving the big bird altogether? 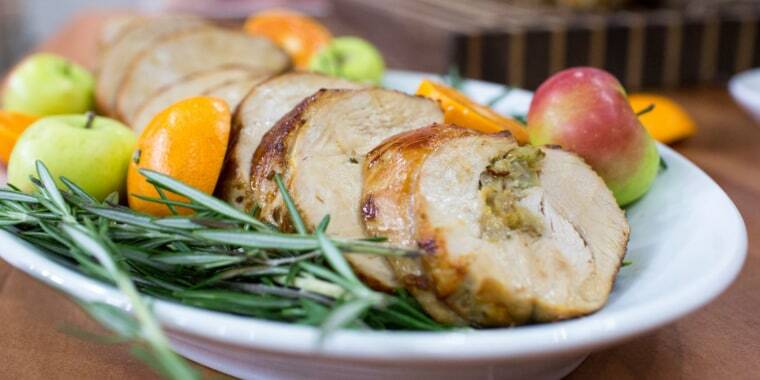 Try this boneless turkey breast that’s stuffed with apples, fennel and fragrant herbs. Roasting a whole bird can take hours but this easy-to-slice Thanksgiving turkey only needs about 40 minutes in the oven. 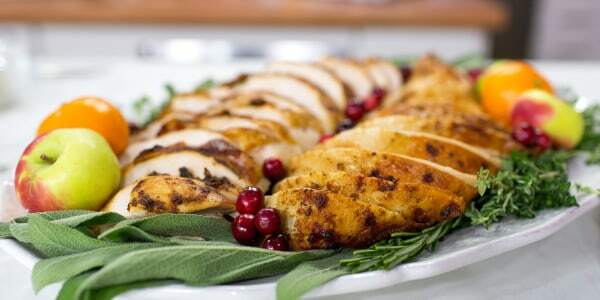 "Breast meat always dries out quicker than other parts of the turkey, so shield the turkey with foil during the first hour or so to slow down the cooking of this delicate white meat, then remove the foil during the last hour or so to allow the skin to brown and become crisp," chef Curtis Stone told TODAY Food. 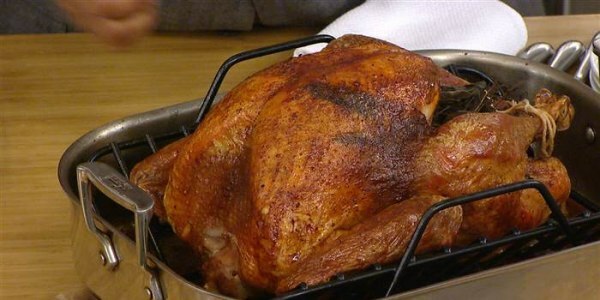 To create a perfectly juicy bird, he also soaks the turkey in an easy spiced brine before it is roasted. Chef Bobby Flay brings the heat with this gorgeous lacquered bird that’s coated with a spicy and citrusy glaze. The glaze is made with a combination of freshly squeezed tangerine juice, red wine vinegar, sugar and chile powder. 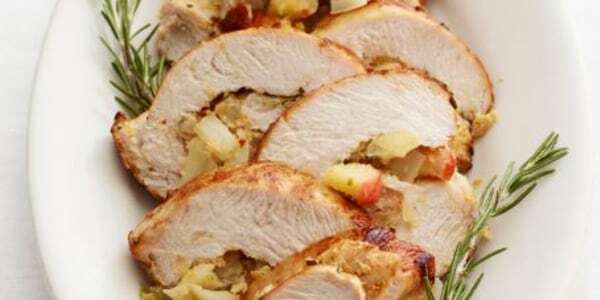 It's delicious on turkey and can also be used on other poultry, such as chicken or duck. What's remarkable about this turkey is how perfectly — and uniformly — golden it is all over. Butterflying (aka spatchcocking) the turkey (opening it up and flattening it out) puts the breasts, legs and wings on a level playing field so everything cooks evenly and more quickly than a whole bird. It's perfect for a time-crunched Thanksgiving host. It's also a breeze to carve. 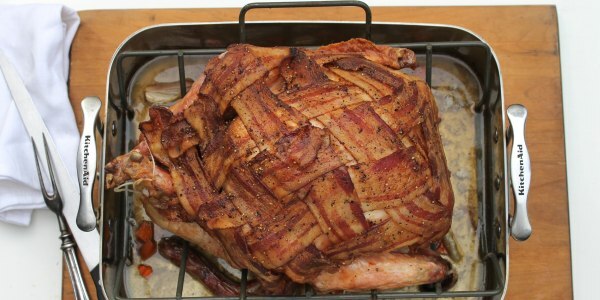 It's almost impossible to go wrong with this show-stopping bird that’s wrapped in a glorious bacon blanket. The bacon covering is not only impressive to look at, but it also adds a deep, rich flavor and keeps the turkey incredibly moist. It makes the gravy pretty tasty, too! 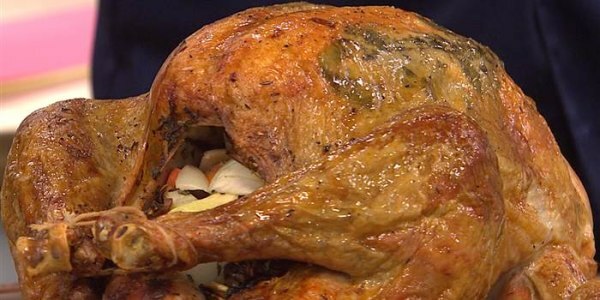 For more tasty Thanksgiving dinner ideas, check out TODAY Food's best tips for how to cook a juicy turkey and other delicious Thanksgiving side dish recipes.